4 Reasons To Eat More Eggs! Sometimes eggs get a bad press… people who worry about cholesterol or fat have been avoiding them in the past, but there are many reasons why starting the day on an egg is the best start to your day! Firstly, they are packed with goodness – the yolk contains calcium, Vitamins A and D, folate and phosphorus… the whites contain protein, and whilst it’s the yolk that contains the cholesterol that people try to avoid, it’s also the yolk that contains most of the nutrients! The egg you choose also influences how good they are for you – buying eggs that are omega-3 fatty acids gives an extra boost to your intake of these essential fatty acids. They can be a perfect start for anyone trying to lose weight – yes you heard that right! They’ll give you around 6.3g of protein which will boost your energy meaning you’re less likely to start snacking before lunch – all that and around only 92 calories! They are fast! With so many of us looking for a fast way to get a good breakfast inside us and more time in bed in the morning, many of us have toast for breakfast thinking of it as a fast breakfast, but why not pop on an egg at the same time? It won’t take any longer and will set you up for the day. If you’re an egg and soldiers type of person, there’s time to cook to the perfect boiled egg before you leave the house too! 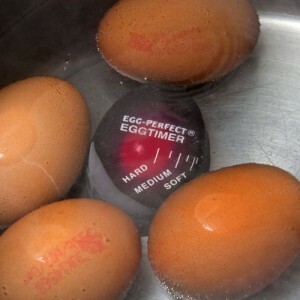 The Egg-Perfect Egg Timer makes life easy because it changes colour as the eggs cook, so you can have Soft & hard boiled eggs cooked perfectly every time! 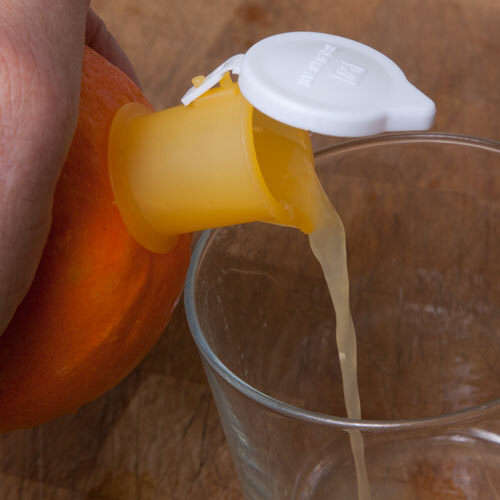 Don’t forget to get the most from your low calorie, protein packed breakfast drink a fruit juice with your breakfast – because Vitamin C increases your iron absorption greatly…. in fact it makes the iron up to 6 times more soluble, meaning you use 100% of the iron, and iron will keep fatigue-causing anemia- at bay. Why not try this easy to use Juice Squeezer – allowing you to squeeze the juice direct from the fruit!